Aaand today, after all the -seems to be- infinite work load in my workplace, I finally went to Ijen this Morning with those 3 great friends of mine. 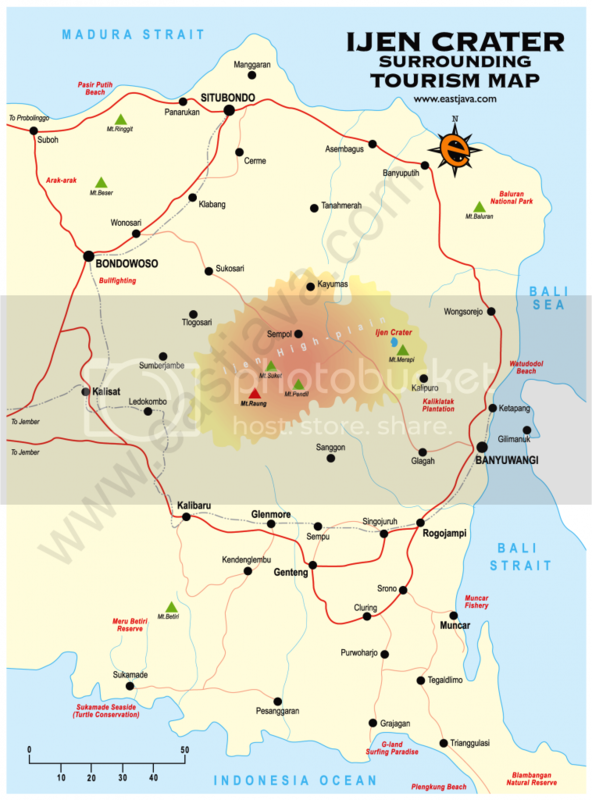 today will be a one-day-travel back and forth from Banyuwangi city to Ijen crater, that was the plan. because, if you just want to see the crater, Just see the crater I repeat, we don’t need to stay overnight in Paltuding. So, here is the route. Paltuding is the Camp area. 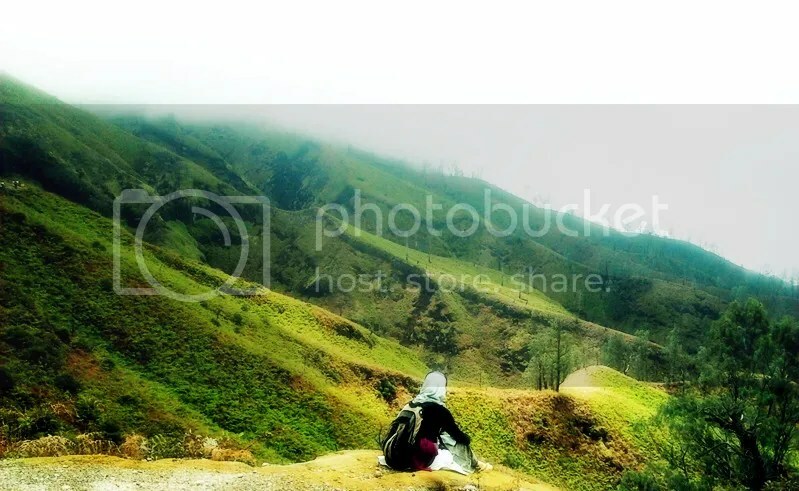 This is your starting point to reach Ijen Crater. You can park your car / motorcycle here. You’ll also find some food stalls. and before you trek you have to register yourself at the information room. Ijen Crater well known because it has Sulfur mining down there in the Crater. To reach the mine down there you have to go trough a path full of rocks and boulders . But if you really lucky and an adventurous kind a person, you can start trek early in the morning around 2 / 3 AM from Paltuding and down to the crater. 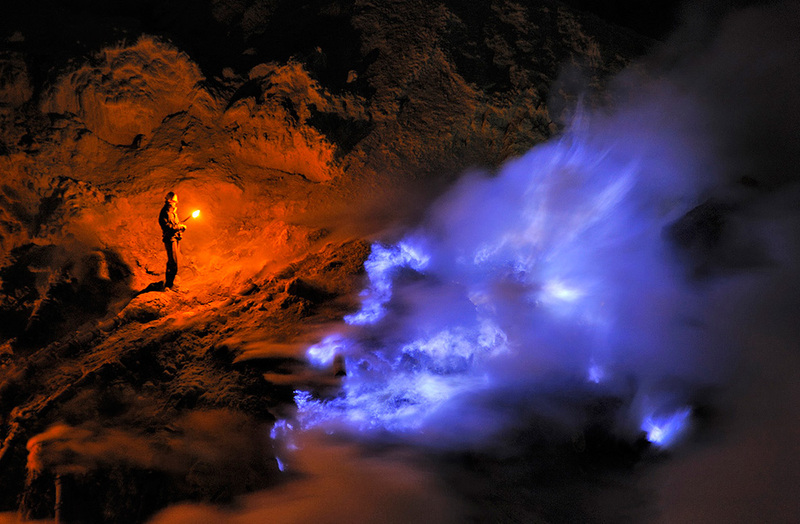 You might find the infamous blue Flame of Ijen Crater. which -from the information I got- There are only two places in this earth who has this Blue Flame, Alaska-America and Banyuwangi-Indonesia and not only the crater who attract the attention of the tourists but also the sight along the way to the Crater. It’s awesome, extraordinarily beautiful. you can see another mountains around Ijen. Ijen also well known because of his eternal flower, Edelweis. it grows in the peak of the mountain. but the fire burned most of plants (many years ago) and the government set a rule to protect it ever since. On the way to the crater you’ll bump with men who carry the sulfur, great amount of sulfur, in his shoulder. They are the sulfur miners. each of them loads about 75 kg – 90 kg of sulfur. They mine the cooled sulfur from the pipes in the crater. they break the cooled sulfur, then put it in the basket. Then they have to climb back to Crater lip and walk down to Paltuding for weighing the sulfur they get and they will paid for IDR 600, for each kilogram they transported as in USD it will be USD 0.06 it’s not even one dollar (USD 1 = IDR 9,601.00 source : Bank of Indonesia date 12/20/2012). Most of the miners make the journey twice a day back and forth from paltuding to Ijen Crater with that amount of loads in their shoulder with the high possibility of getting poisoned by the gas when they mine the sulfur down the crater with no protection. it’s a great-risky job with verrryyy low wages. 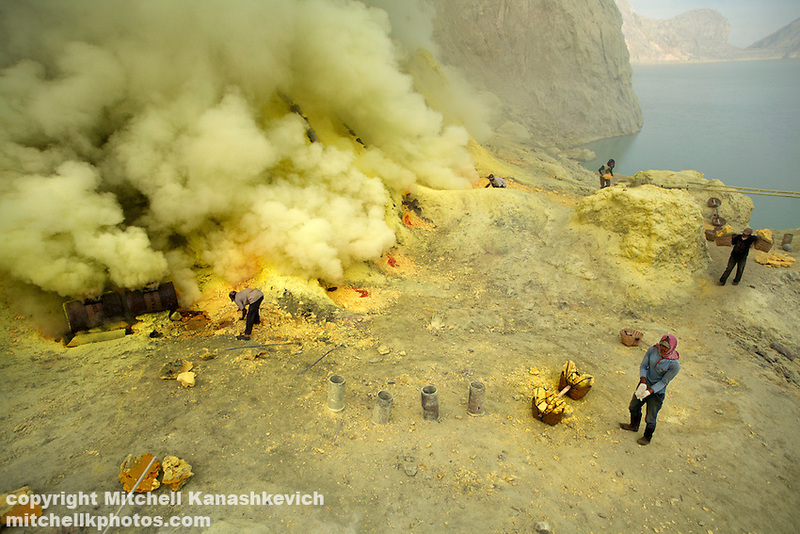 A film titled ‘Where Heavens Meets Hells‘ by Sasha Friedlander tells exactly about those superman (Sulfur miners I mean). That’s two sides of Ijen. well, the conclusion is no matter what, I LOVE THIS PLACE. And hopefully the government or anybody has the solution for the sulfur miners. If you want to visit and happen to be someone who live outside Banyuwangi(or even an International tourist) but lack of Information, let me know. I’ll give you all the Information you might need. 😀 I’d love to help you guys. Note : tribute to every Photographer who took the picture. Thanks a lot. Saya berencana akan naik ke ijen tgl.6 dan 7 juli 2013 untuk menyalurkan sedikit sedekah dari group saya di facebook ( Kesabaran dan Kemurahan hati untuk membantu sesama). Kunjungan ini adalah yg ke dua. Saya dan Istri hanya berdua kesana. Apabila anda mau bergabung pada tgl tersebut Saya sangat berharap mendapatkan informasi yg lebih lengkap tentang kehidupan sosial ekonomi para penambang tsb. Karena harapan saya kunjungan tersebut tidak berhenti hanya sekedar membagikan uang,sembako atau yg bersifat sementara…tetapi tidak dapat membantu mencarikan solusi kehidupan para penambang kedepan. very nice pictures. 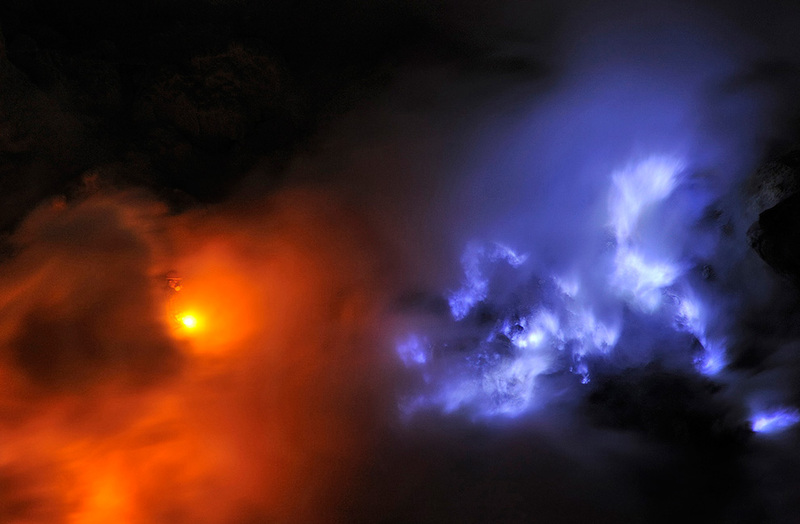 I am actually planning a visit to the Ijen crater so i have some questions. I’d like to know what is the cheapest way to get to Paltuding ( i don’t have a driving license )? I’m going to stay the night there at a shelter to start climbing early the next morning. Do you think this is a good plan? tell me where are you from, the exact date you want to visit and how many people who travel with you. I’ll try to find out the cheapest option you could take. stay for the night there is a good plan indeed, because you might be able to see the blue flame.